Hey now, I love Freddy's Dead and Jason Goes to Hell. Shout! Factory is putting out a special (collector's) edition of Cobra yet I find myself with no excitement. The interviews are nice, but no Stallone or any of the missing footage just kills the buzz. The picture quality would have to be a huge bump. The commentary from Paul Talbot alone makes it worthwhile. I've got the Twilight Time release, but this material is enough to make me consider double dipping. The new Cobra release by Shout! has some weird red color push. Everything's burning away in that hot California sun. I wasn't too enthused after learning it would be the normal cut and no cut footage so that's the nail in the coffin for me. On the other hand, 10 to Midnight is downright gorgeous. Plus, that commentary by Paul Talbot makes it a no brainer. Time to sell off the Twilight Time release. 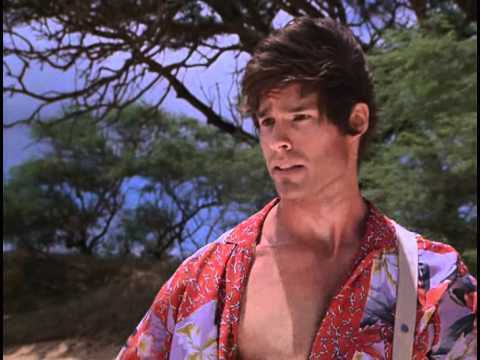 In celebration of Hard Ticket to Hawaii and Malibu Express seeing blu-ray releases, here's an example of what to expect from director Andy Sidaris and his 80's output. I wonder if the format will even be successful. Well, this is a surprise. Turns out Joyce Hyser from Just One of the Guys (one of my favorite films) used to date Bruce Springsteen in the early 80's. 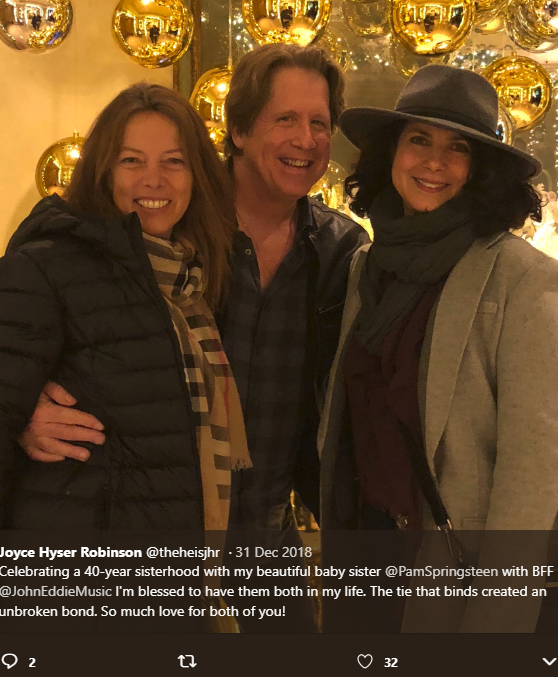 Although they broke off the relationship, Hyser remained good friends with Pamela Springsteen (Angela from Sleepaway Camp II and III). Here's a recent tweet from Hyser's account of them together.